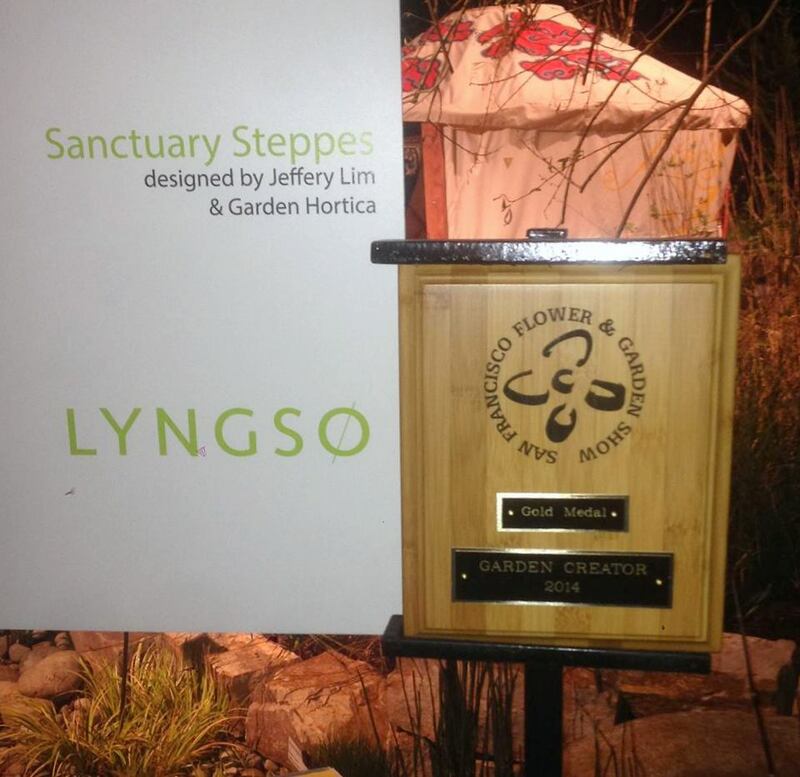 In 2014, Healing Spirit Plants founder Richard Koenig, along with colleagues Jeffery Lim and Illya Pinsky, participated in the San Francisco Flower & Garden Show with an award-winning garden design, Sanctuary Steppes. The garden featured a Mongolian yurt surrounded by a traditional Mongolian medicinal herb garden. A large birch glade and conifer trees provided a backdrop to the peaceful setting. The garden won a Gold Medal for Garden Creator award.